Nokia 216 RM-1187,88 is a new mobile form Nokia on MTK platform just because this phone is on MTK platform only Infinity Nokia Best latest version 2.24 have support to flash or read and write flash.if you want to flash this phone then you have to update your Infinity Nokia Best with latest version 2.24.
in this flash files zip pack, we have added RM-1187 and RM-1188 having Urdu and Arabic language if you need Urdu or Arabic language flash for Nokia 216 files you can download it. We have tested these flash files with Infinity Nokia Best latest version 2.24 these flash is working well.So download and enjoy the latest version. How to flash Nokia 216 RM phone? 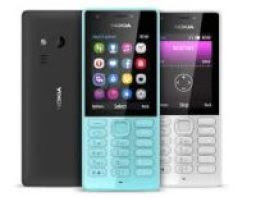 Nokia 216 RM-1187, RM-1188 is MTK based phone so if you want to flash this phone then you need to select MTK band on you flashing tool then select RM-1187, RM-1188 then one by one flash files on the tab then connect USB flashing cable with your phone then flash. That firmware update is only for only for Nokia 216 RM-1187, RM-1188 don't try to install that firmware on other models of Nokia devices that can destroy your phone. If your phone after the flash goes into contact service then write with this version your phone will be ok 100% flash file version is 12.00.11 rm 1187.